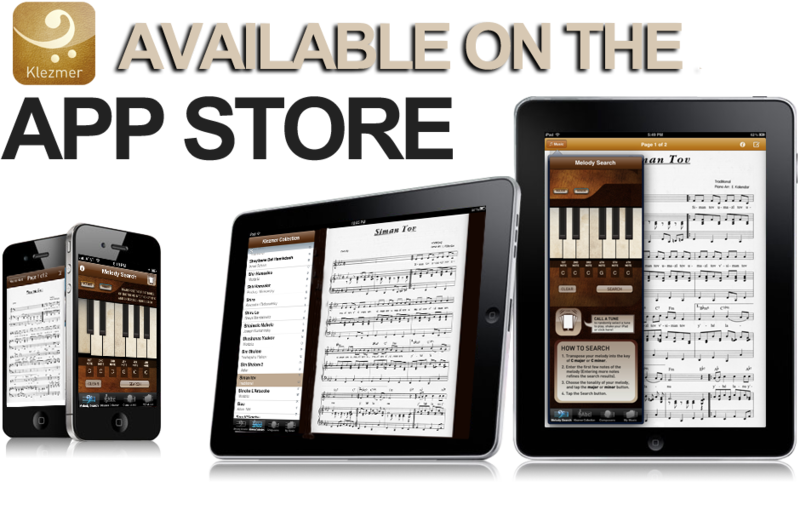 THIS APP CONTAINS A COLLECTION OF SHEET MUSIC FOR OVER 100 JEWISH TRADITIONAL, RELIGIOUS, KLEZMER, SEPHARDIC/LADINO, CHASIDIC, YIDDISH, CANTORIAL, SIMCHA PARTY, AND ISRAELI FOLK MELODIES/SONGS. Easy to use page controls, zoom capabilities and ability to add comments. Search for sheet music by title, composer or first few notes of the melody. You can randomly bring up sheet music from the archive. Shake your iPhone to call a tune! Have you ever heard a certain melody but couldn’t recall the name of the tune? The Klezmer Melody Book offers a unique search, allowing you to find music by entering the first few notes of the melody. Use the keyboard to play the first 6 notes of the melody. Quick and fun way to find music! Klezmer Melody Book application. You can create your own archive of sheet music in PDF format, print and share it with anyone! co-musician with the Kezmer Melody Book app and start playing!